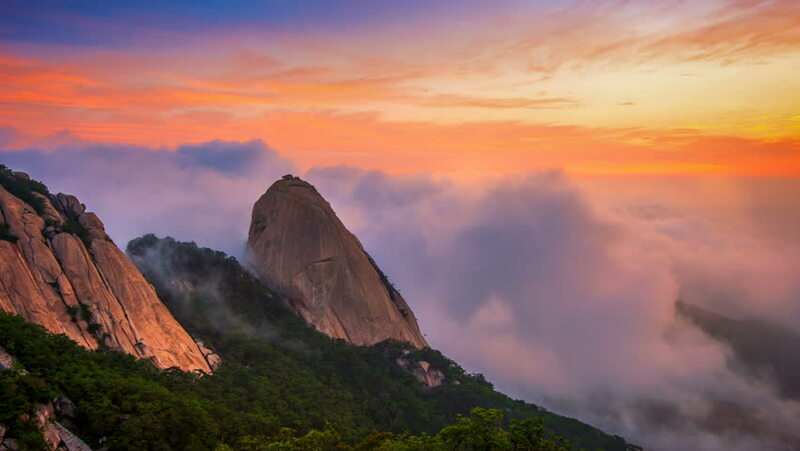 Time lapse of Bukhansan mountains is covered by morning fog and sunrise in Seoul,Korea. 4k00:10Time lapse of Bukhansan mountains is covered by morning fog and sunrise in Seoul,Korea. 4k00:15Time lapse Bukhansan National Park Sunrise Seoul, South Korea. 4k00:13Time lapse Bukhansan National Park Seoul,Korea. hd00:07Subtle Zoom Out. Sedona Arizona overlook, with beautiful clouds flying over the distinctive rock cliffs. HD 1080p time lapse.